It’s hard to believe people found horror movies scary in the past. If Frankenstein’s monster or Count Dracula graced the screen today, young kids wouldn’t even flinch. Adults would walk out of the theater. Ghosts were even worse because they stuck actors underneath white sheets. You could buy Halloween costumes that people would find more terrifying. So, why do you think they’re able to produce so many scary movies today? Horror fans sometimes jump out of their seats. It’s not because there are better writers alive today. Plots haven’t suddenly become a hundred times more chilling. In fact, you could argue most movies are copying the plots from older ones. There are very little completely original screenplays becoming smash hits. Would you believe the success of horror movies relies heavily on the skilled costume designers and make-up teams? It’s easy to say costumes and make-up are important because they’re scarier. The real answer is more important and can be broken down into a couple of parts. Firstly, filmmakers want you to know the difference between protagonists and antagonists. They will obviously make it obvious which side you should be rooting for throughout the movie. They want you to feel it in the pit of your stomach too. If the protagonists are weak and sweet you’ll feel sorry for them, so if anything bad happens you’ll feel even worse. You will be pulled into a world where you truly care about the wellbeing of fictional characters. Verisimilitude isn’t a word you’ll hear very often. Is the horror movie you’re watching realistic in the context of the movie itself? We know you’ve seen average filmmakers resort to unrealistic concepts thousands of times in the past, because it’s the only way they can make the hairs on the back of your arm stand up. Sadly, you’ll still know it’s not realistic and it will ruin the movie. Think about what would happen if the costumes and make-up were twice as good. An extremely realistic movie would scare you a lot. It’s kind of what we all fear most deep down inside. First of all, movies have to support the stereotypes you already associate things with. Do you remember the scene in Hostel when the bad guy sliced the protagonist’s Achilles’ tendons? You knew it would be excruciating and bite down hard when you heard the noise. When he collapsed on the floor you were nearly sick. In regards to make-up, the main thing they use to do this is blood. If you see blood splattered across someone’s face they’re in great danger. Also, the skill make-up artists possess today is a million times better, but don’t forget they do have the good fortune of better technology. We spoke about ghosts wearing white sheets in the past, so we’ll look at how they’ve changed. They will look as human as possible through the use of costume and make-up tricks. Ghosts usually look like they wouldn’t have harmed a fly when they were alive and you might feel sorry for them. Costume designers dress them in white clothes to make them look angelic. They want you to be scared and the thought of an unassuming person committing murders is terrifying. Any skin on display will look completely pale except for the eyes. Filmmakers want you to feel like they’re real. 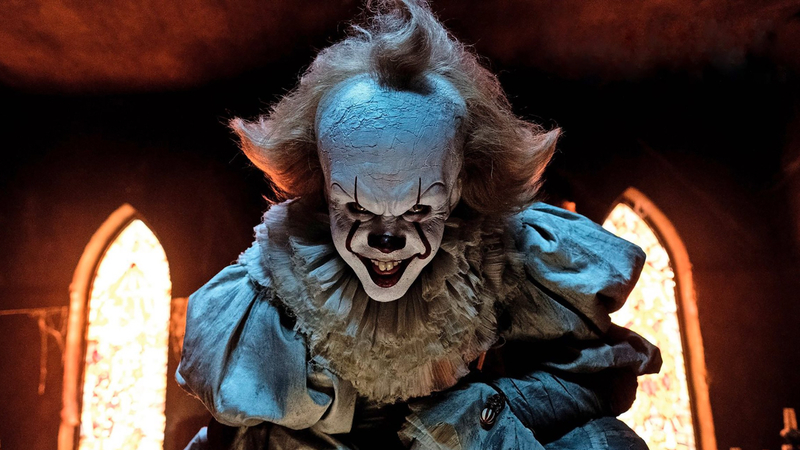 We’ve not had time to cover every little detail about the costumes and make-up, but can you see how they create a huge impact in horror movies today? Plus, if psychology and tricks weren’t involved we doubt you would still look forward to the endless supply of horror movies. This research from Spinzwin Online Casino clearly explains why costumes and make-up are so important to horror movies.